Following a failed attempt to capture Vicksburg employing primarily naval forces in the summer of 1862, Union authorities renewed their efforts over the following winter. Gen. Ulysses S. Grant planned a two-pronged campaign in December, with troops under his command moving overland to threaten Confederates in North Mississippi while William Tecumseh Sherman was to sail down from Memphis with more than thirty thousand men. The plan went awry after Confederate cavalry under Earl Van Dorn burned Grant’s supply depot at Holly Springs and Nathan Bedford Forrest wreaked havoc on Grant’s supply lines. Grant opted to retreat, while Sherman continued downriver and landed troops above the city. Sherman’s men were impeded by marshes, swamps, and bayous, but he ordered an assault at Chickasaw Bayou (also known as Chickasaw Bluffs) on 29 December. Confederate defenders rebuffed Sherman’s repeated attacks, inflicting more than seventeen hundred casualties while losing roughly two hundred men. Sherman admitted defeat and withdrew to the mouth of the Yazoo River as 1863 arrived. He was superseded by Maj. Gen. John A. McClernand, who proceeded upriver and on 11 January captured Arkansas Post (Fort Hindman), fifty miles up the Arkansas River from its junction with the Mississippi. While McClernand felt that he had eliminated a persistent threat to the Union flank and rear, the fort’s capture did not materially weaken the Confederate grip on Vicksburg. Grant assumed command of three Union corps (a fourth was on detached duty in Tennessee) in late January and began a series of maneuvers designed to capture Vicksburg. Formidable obstacles existed during the rainy winter season, with much of the terrain north and south of the city subject to flooding as water rose in the area’s bayous, rivers, streams, and swamps. Grant’s troops attempted to construct several canals in vain attempts to bypass Vicksburg’s menacing batteries. Troops resumed work on a canal started earlier at De Soto Point, where a horseshoe bend in the Mississippi River formed a peninsula below the city, in hopes of diverting the river through the canal and allowing transports to convey troops to the bluffs below the city. This attempt failed when the river rose in early March, flooding the peninsula and destroying much of the work. When Confederates placed artillery to command the lower end of the canal, the project was abandoned. 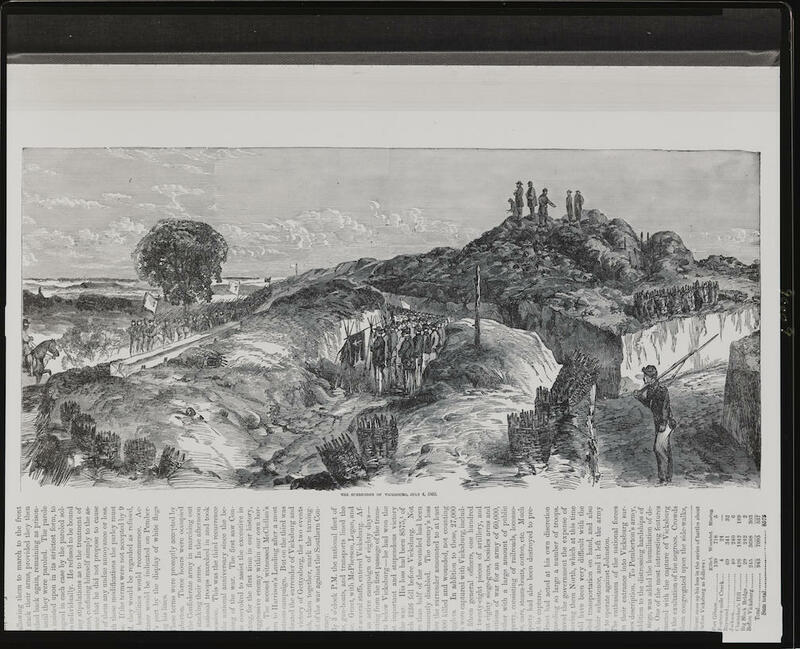 Seventy-five miles above Vicksburg, Union soldiers cut another canal from the Mississippi to Lake Providence on the Louisiana side, hoping to gain access to the Red River two hundred miles below the city. It was an ambitious plan, entailing the projected sailing of Union vessels through various bayous and rivers to reach the Red River. If successful, Federal ships might surround and capture Port Hudson, then move north against Vicksburg. The Lake Providence plan ended when engineers were unable to establish a navigable channel along the entire route. A third effort began in early February, when Union engineers blew the levee at Yazoo Pass, a few miles below Helena, Arkansas, on the west side of the Mississippi. Doing so gave Union gunboats and steamers access to Moon Lake; Yazoo Pass, a small bayou; and the Coldwater River. The Coldwater fed into the Tallahatchie River, which combined with the Yalobusha River to form the Yazoo, which emptied into the Mississippi above Vicksburg. It took weeks to clear the Yazoo Pass of trees felled by Confederates to obstruct passage, but a flotilla eventually entered Yazoo Pass from Moon Lake.